Today's Coffee Date is with talented photographer, blogger, and co-founder of the Bloom Workshop, Ashley Slater. I had the opportunity to hang out with Ashley in Atlanta a couple months ago at the Bloom Workshop, and she's even more gorgeous, funny, and quick-witted in person! I knew that you would love getting to know her as much as I did, so she's joining me for a Q&A today. Find out what her normal day looks like, how she simplifies, the advice she has for other business owners, and, my personal favorite, how many jobs she had before becoming a professional photographer. This one is so fun. Meet Ashley! Coffee, always! Usually with flavored creamer. What does a normal day-in-the-life of Ashley Slater look like? I have to laugh at this one because since welcoming my little boy Caleb to the family, my day to day is rarely the same! Often though, we wake up around 8am and have breakfast and watch Good Morning America. The rest of the day is dedicated to Caleb; playing, going to the park, fun projects at home. During his naps I try and stay up to date on e-mails and phone calls. Once my husband arrives home and we have had a family dinner, I head upstairs and my "work day" begins. Once Caleb is asleep for the night I stay up until the wee hours busting out edits and any other work I need to get done. It's not the most ideal schedule, but for now it works! How did you get started in the photography industry? What business advice has been the most helpful for you? I took an interest in photography shortly after I got married. My husband is a physical therapist and after our wedding we began "travel therapy" (which just means he filled in at a hospital or clinic somewhere around the country) and we would move every 3 months. I began blogging so our families could keep up with our travels and see where we were living. Pretty soon after starting this blog, I started getting readers who weren't just my family members. I discovered this crazy world of blogging and wanted to be as professional as other blogs I was reading. Naturally, I decided to work on creating beautiful photos and read my camera manual and practiced a lot. I started falling in love with photography and once I started practicing with people I really fell head over heels with the art of storytelling through photos. I was hooked, and launched my business the summer of 2011 while living in California. That was two and a half years ago and it is crazy to say that I am currently in the midst of wrapping up a wedding season that included over 28 weddings! The best business advice I ever received was from a friend who pushed me to "just ask." This advice applies to everything -- from asking for advice or mentoring, to meeting up with someone you admire for coffee, or sending an email to an industry peer about collaborating. The worst someone can tell you is "no," but most of the time I have found that most people are more than willing to share their knowledge and work with me which has been an incredible blessing! So my advice to anyone starting a business is to reach out and just ask for whatever it is that you may need! Your style posts are some of my favorites on The Sweet Season blog. What are your favorite shops and fashion staples? I was a really late bloomer when it came to figuring out what my style was. And I mean late as in: I was 20 and didn't know the difference between concealer and foundation, had virgin unplucked brows and considered simply putting my hair into a ponytail as a style victory. It was bad, and sometimes I still feel like an awkward 15 year old when I get dressed in the morning. I have found that I am most comfortable in jeans and a t-shirt. I so admire girls who wear dresses and heels on the daily, but for me it's just not practical. My favorite jeans are a pair of distressed skinnies from Gap, and I practically live in basic tees from J.Crew. When I do dress up, I love pieces from Banana Republic, Anthropologie, and lulus.com. I just snagged a pair of seychelles booties from Lulu's and I am in love with how comfortable they are! I also love adding a statement necklace to add some glam. And yes, I have since learned how to curl my hair, which helps... just don't ask me to braid! I re-wear a lot of the same things in my style posts because I feel like the average girl is like me and uses the same pieces in a lot of different ways. Between being a mom, wife, and business owner, I'm sure life can get busy. How do you simplify and keep it all together? 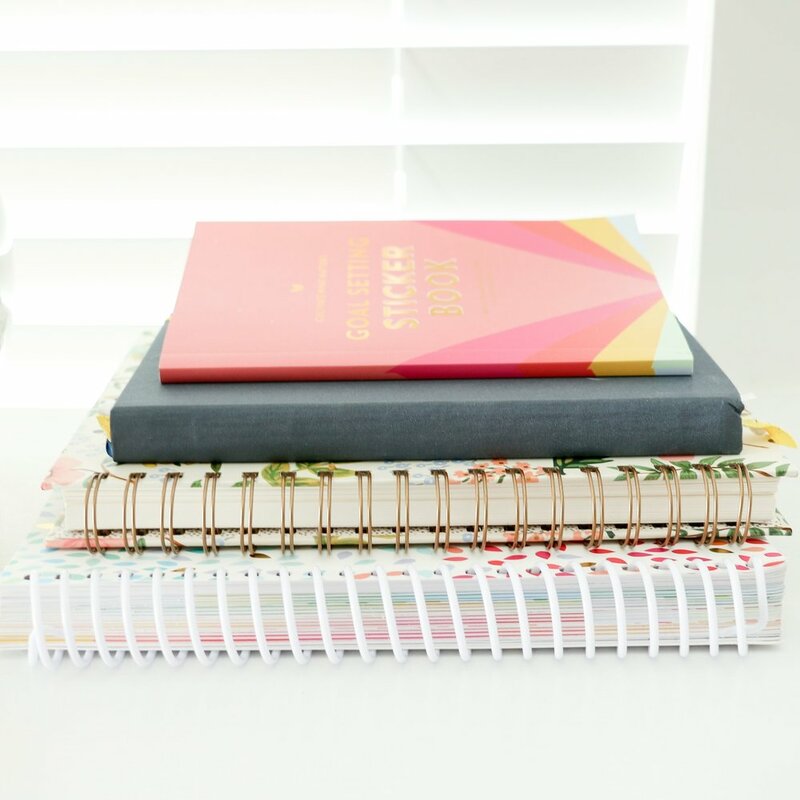 I promise I am not saying this because I am writing for Lauren's blog -- but my Elle & Company planner has been a huge lifesaver for me this year. When I had Caleb I knew he would be my number one priority before anything else. My days are dedicated to being a mom, but when he goes to bed I put my business hat on. It is essential that I am focused and on task so I can make the most of limited work hours. 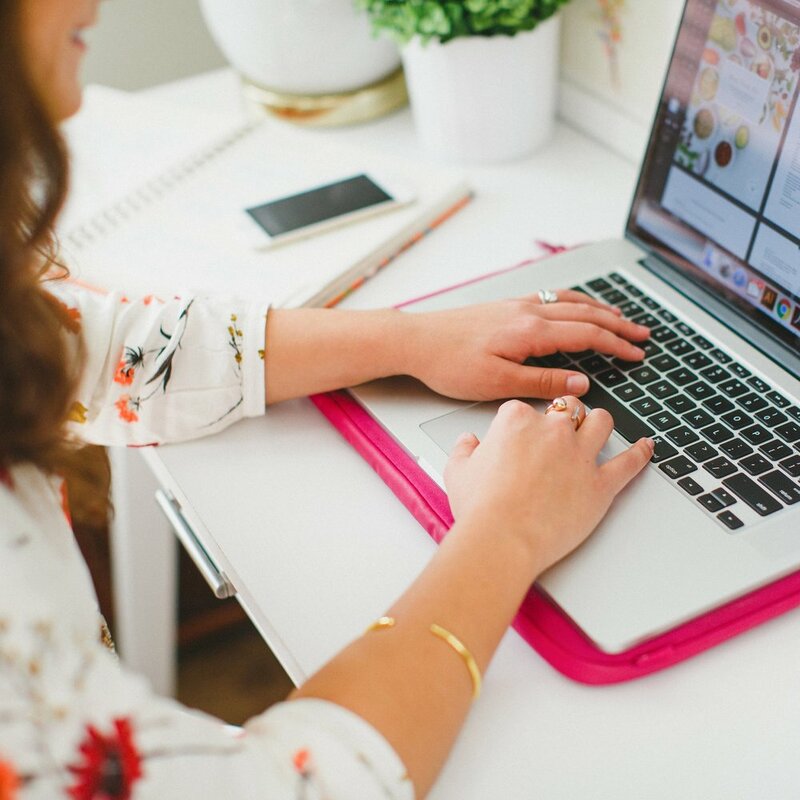 I use my planner to schedule blog posts, client meetings, and stay on track with sending out photos and products. I also suggest setting office hours for anyone who works from home. Being your own boss makes it really easy to push work aside and maybe slack off a bit, so it is critical to set aside time that is dedicated to the business. Another huge thing for me this year has been learning how to say no. I found my niche is in weddings, boudoir and fine art portraitures but when I was contacted for a family or newborn session I had such a hard time saying no even though I was miserable shooting these types of photo sessions. I finally realized that I can't do it all, and saying no and taking on limited work has been so huge. As important as it is to make time for your business, it is equally as important to make time for your family and yourself! Ooh, I have a few things that I am into right now. First, lavender Epsom Salts! Especially after working a long wedding I LOVE filling the bath with scoops of these salts. It is so relaxing and helps me get to sleep at night! I also have taken a recent interest in food and product photography and have been loving the book Plate to Pixel. Finally, with Christmas right around the corner I have been burning my Balsam and Cedar Yankee Candle every single day. I LOVE the way it makes my house smell! And lastly, I head through the grapevine (ahem, Michaela) that you had your fair share of jobs before you became a photographer. What were some of your favorite off jobs and why? At 16 I started working at Limited Too and quickly became an assistant manager (yes, at 16!) Through that job I ended up being hired as visuals director and was in charge of creating window displays and holiday set up for Bath and Body Works, Banana Republic and Ann Taylor Loft. I followed my boss from Limited Too to IKEA and worked as an assistant manager in the textiles department. I got to build the Atlanta IKEA as well as one outside of Chicago. For extra money I also worked at Chik-fil-a and at a little shop in Atlanta selling Vespa's. Once moving to Michigan I worked for a short time at a Starbucks in the Grand Rapids airport. I couldn't cut waking up and opening that store at 3am everyday so I found a new job at a nutraceutical company as a sales rep. I worked my way up to shipping manager and eventually to a copywriter and marketer all while going to school. After that company went under I started working at Macy's at the Clinique counter and met my husband during that time. Once we were engaged I took a server job at Longhorn to make extra money for our wedding. Thankfully, I think photographer is going to be a lasting profession! HAHA! Newer PostHome Suite Home Updates!